This is definitely not a travel blog. little world here with a heavy duty blindfold and LOTS of alcohol. So there I was, blindfolded and barely standing. This trip was a little unexpected and somewhat spontaneous. My kids thought aliens had invaded my body. start our journey to the most bizarre destination.....Moose Jaw, Saskatchewan, Canada. Why would we go there? To visit The Tunnels of Moose Jaw! This was the waiting area and gift shop. Truly amazing, and these weren't the fake ceiling tiles either. You can see my fascination for tiles and how I used them in my own home Here and Here! and was quickly told that there were no cameras allowed. But I had to show you this amazing cupboard. What blogger wouldn't want to get their hands on this. 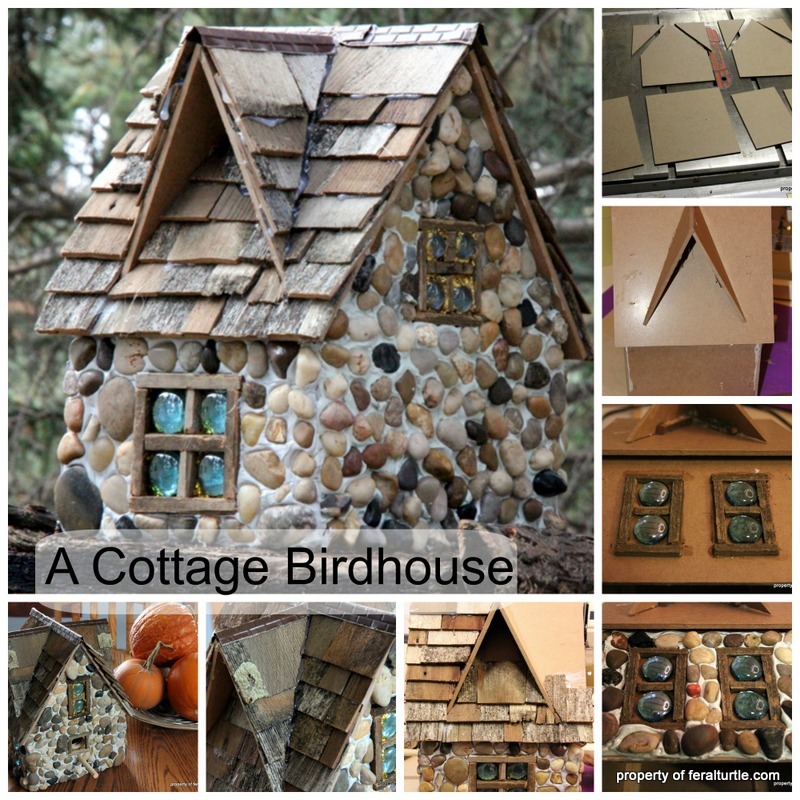 Maybe use it for some amazing storage in your craft room or a wonderful addition to a kitchen....am I right? Can you see it in your house? This was the Passage to Fortune tour, which was probably the best tour, IMHO. A shameful blemish in Canadian history! The other tour, Chicago Connection, was more for entertainment. I must confess that I was ignorant to the fact that Canada also shared in the prohibition act. Supposedly Al Capone spent time in these tunnels. 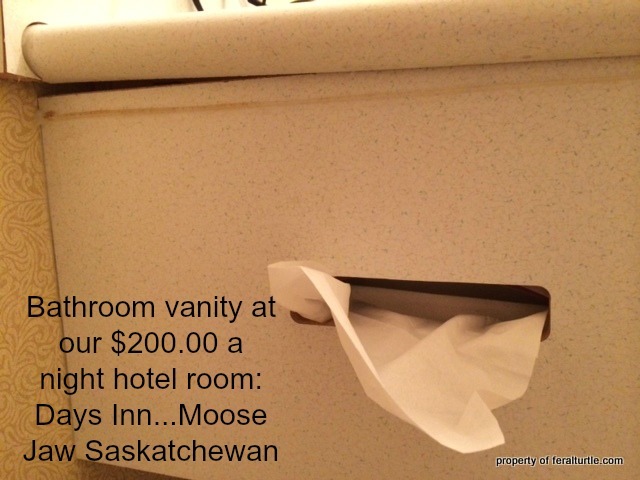 Now for some free advertising for The Days Inn in Moose Jaw, Saskatchewan. A big shout out to Misty, the supervisor at Days Inn, who NEVER did bring up the proper remote for our TV! I thought a suite meant a separate bedroom?? 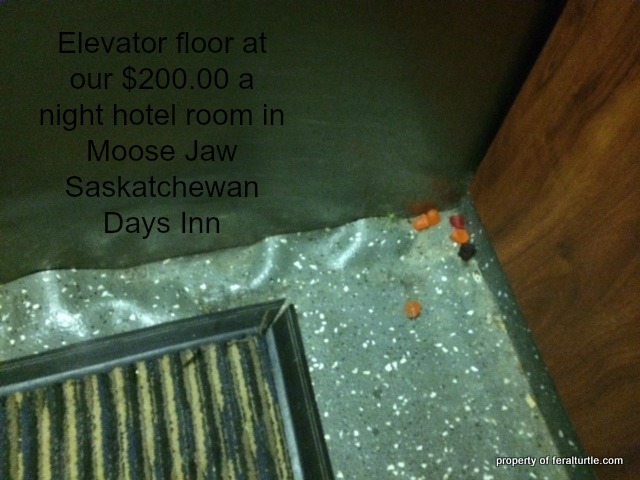 This post was not sponsored from Days Inn, in Moose Jaw, Saskatchewan. We overpaid for this "suite" all on our own. If you happen to get to Moose Jaw Saskatchewan, I would tell you to do both tours. Well worth the $25.00 entrance fee. Now for the looooong ride home! Thank God prohibition was abolished. Oh how I wish I would have stolen the pillow from our overpriced, understaffed, poorly maintained hotel room! Giggling my head off right now. Are you sure you actually want to have a pillow from this hotel? It probably has bed bugs. I do want that cupboard!!! And, I never knew you were a harley mama. :) LOVE IT! Now I am not a fussy pants by any stretch of the imagination... but yikes. $200 a night? My awful pre-makeover bedroom is looking pretty good to me right now. Love that big beautiful cupboard, and those ceiling tiles are awesome. Some of the main street stores in the small town where I work still have their original painted ceiling tiles, and I'll go in just to gawk at them. Sometimes I actually buy something so they don't think I'm too weird. Those are some gorgeous ceiling tiles! I bet they didn't get them from Canada Ceiling Tile Company lol. You crack me up! The Tunnels look like a fun place to visit...even if there are scofflaws taking pictures when they shouldn't. LOL! I'm unclear...was this a sponsored post for Days Inn??? LOL! As a fellow homebody, I understand the desire to have good experiences when you do venture out. It's duly disappointing when you spend extra cash for "nice" and don't get it. Glad the tours redeemed your trip. They look fun and educational. That cupboard would be great. Can you imagine all the STUFF one could display in there? Oh yeah, those ceilings! When I saw the first picture I immediately recalled the ceilings you installed in your home. Haha. Karen you always put a smile on my face. That hotel was so over priced! Yeah I agree with what Heather said above. Do you really want the pillows? haha. I want to know whom along the way (meaning what designer/ builders) decided that our homes no longer needed cabinetry like that and left it out when our homes went up? It would have saved us the trouble of trying to get cabinets like that in our homes after the fact. How fun that you took a trip to see the tunnels at Moose Jaw, Karen. And that you actually traveled by way of motorcycle!! Very daring! It looks like so much fun, I would stop there if I was in the area in a heart beat! They would have charged you a couple hundred dollars for the pillow. Geez! Oh, that first picture of you on that motorcycle made me travel in time :) I used to ride with my brother, the only one I trusted with those machines. :D When we are given a room this bad, my husband goes and talk to the guys at the front desk asking for another room, and guess what? they always have a nicer room. LOVE the cupboard and all the architectural detail the gift shop has, beautiful! What a fun trip - but 200.00 a night? In Saskatchewan? I can't believe it Karen - really I can't ? You could get a gorgeous room in downtown Montreal for that !!!!!!! That cupboard is incredible - and those tin ceilings are amazing !